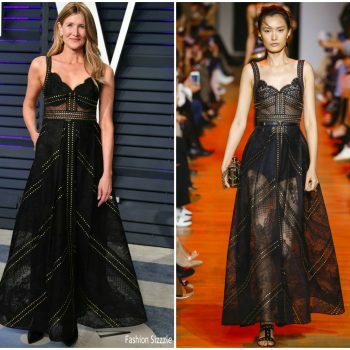 Laura Dern was in attendance at the 2019 Critics Chois Awards on Sunday (January 13) at the Barker Hangar in Santa Monica, Calif. She wore a black sequin Saint Laurent by Anthony Vaccarello cut-out dress. 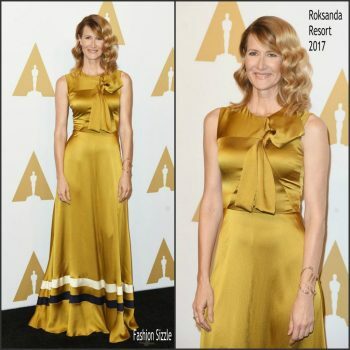 Laura Dern was in attendance at the 2018 Governors Awards held on Sunday night (November 18) at the Ray Dolby Ballroom at Hollywood & Highland Center in Hollywood. She wore a black Rodarte Spring 2019 dress. 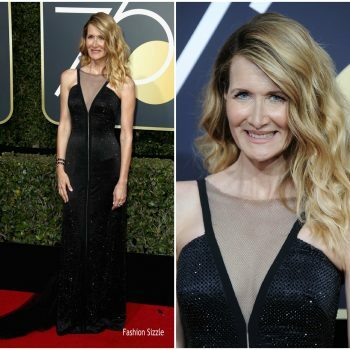 Laura Dern attended the 2018 Emmy Awards on Monday (September 17) in LA. She wore a grey Thom Browne dress . 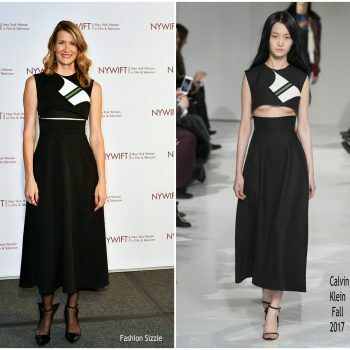 Laura Dern along with Kristen Stewart were in attendance at Jeremiah Terminator LeRoy’ Toronto International Film Festival Premiere She wore a black BOSS Fall 2018 dress styled with Roger Vivier heels and a LAFSHAR purple “Ida” bag..
Laura Dern attended the ‘The Tale’ Screening: on (May 20). 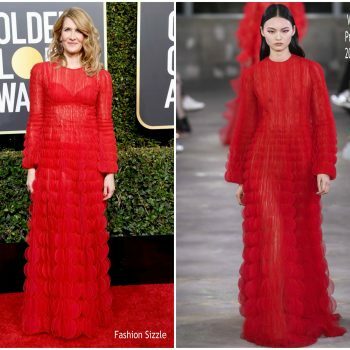 She wore a Derek Lam Fall 2018 design. Laura Dern wore a Gabriela Hearst Fall 2018 white tuxedo & a La Perla "Azalea" bustier to the 2018 Vanity Fair Oscar Party. 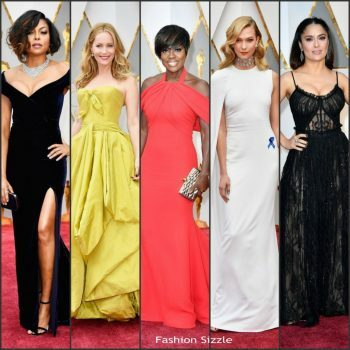 She styled her look with Neil Lane jewelry. Laura Dern was in in attendance at the 2018 Critics’ Choice Awards on Thursday (January 11) in Santa Monica, California.. She wore a sleeveless black Balmain tuxedo jumpsuit styled with black pumps. 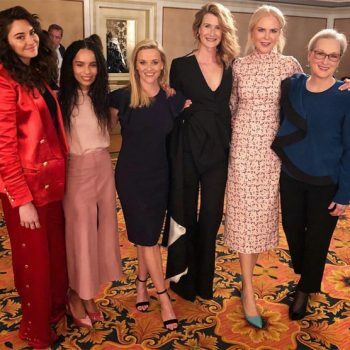 Laura Dern was in attendance at the ‘Downsizing’ LA premiere on Monday (December 18. She wore a Vassilis Zoulias dress styled with boots. Laura Dern attended the ‘Star Wars: The Last Jedi’ photocall in London today (December 13). She wore custom red Gabriela Hearst Spring 2018 suit. 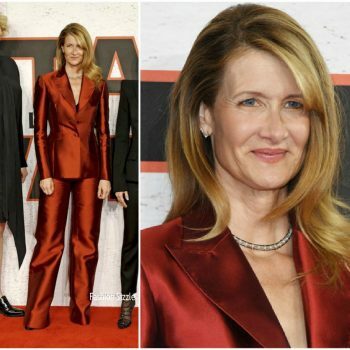 Laura Dern was in attendance at the ‘Star Wars: The Last Jedi’ London premiere held at the Royal Albert Hall this evening (December 12). She wore a strapless Alexander McQueen Resort 2018 embroidered gown. Laura Dern attended the premiere of Star Wars: The Last Jedi on Saturday night (December 9) at the Shrine Auditorium in Los Angeles. 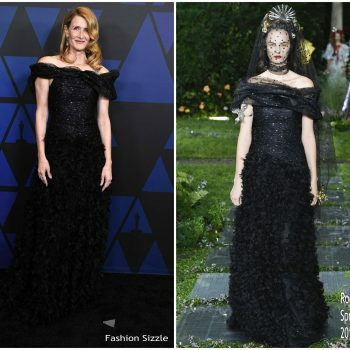 She wore a black lace Vivienne Westwood Haute Couture gown. 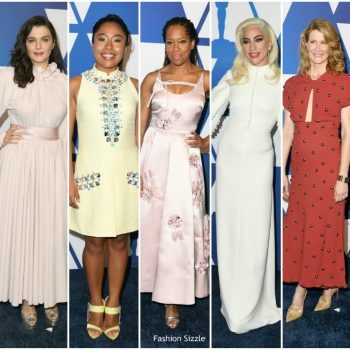 Laura Dern was in attended the 2017 Emmy Awards on Sunday (September 17) in Los Angeles. She wore a Proenza Schouler Spring 2018 gown. Laura Dern made an appearance on the 'Today Show' on yesterday(March 22nd) to promote her new film 'Wilson'. 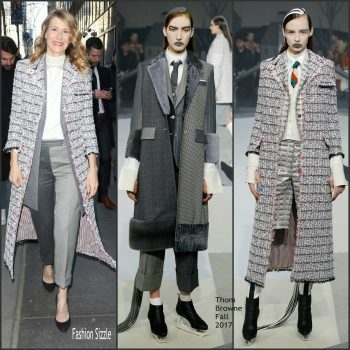 She wore a Thom Browne Fall 2017 design. Laura Dern attended the premiere on Tuesday (February 7) at the TCL Chinese Theatre in Hollywood. 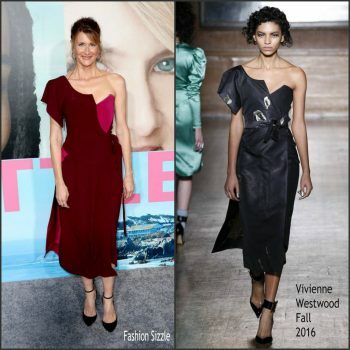 She wore a burgundy and pink Vivienne Westwood Fall 2016 dress. 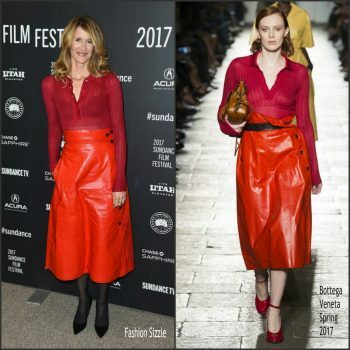 Laura Dern was in attendance at the Wilson Movie Premiere During Sundance 2017 She wore a Bottega Veneta Spring 2017 outfit. The ELLE's Annual Women In Television Celebration 2017 was held at Chateau Marmont on January 14, 2017 in Los Angeles, California. Below are some of the attendees. Nicole Kidman in black and white Valentino midi dress. There were many well dressed celebs in attendance at the 2017 Golden Globe Awards held at the Beverly Hilton Hotel on Sunday (January 8) in Beverly Hills, California. Below are some of the other attendees. Laura Dern attended the to the Palm Springs Film Festival Film Awards Gala. She wore a teal tiered J. Mendel dress styled with a pair of Kurt Geiger shoes .